Last week, to celebrate the actual 50th Birthday of the cinematic James Bond, Adele’s new theme song for Skyfall was officially released. The song was incredibly well received, mostly because the song is damn near perfect, but unless you watched some hastily edited fan edits you had to imagine what this theme would sound like over top of some real Bond action. Thankfully there is someone really smart behind the marketing of Skyfall, as a new trailer just hit featuring the soon to be iconic new tune prominently. Somehow the already phenomenal song feels even better when you see Bond do his various Bond-y things, particularly that last beat of the trailer. The anticipation for the third Daniel Craig Bond film is reaching it’s boiling point. At this point everyone seems to have let the bitter memory of Quantum of Solace wash away from their memories and are allowing all of the goodwill this movie is putting out drive their excitement. This has been a banner anniversary year for Bond, and after some shaky years with a writer’s strike hindered Quantum and the bankruptcy scare of MGM, it is a welcome revival of the spy who loves us all. Except probably cold war era Russians, but everyone else for sure. Check out the new trailer after the jump and stay tuned to The Flickcast for any last-minute news as Skyfall approaches. Perhaps more than the Aston Martin, the Walther PPK or the martini’s, the signature Bond title tune is among the most important aspects of any 007 film. There have been some classic songs, some alright diddys and some downright duds over the years, so does Adele have what it take to deliver on Skyfall‘s titular ballad? Well thankfully that is a question we do not have to wait for the release of Skyfall next month to answer. The song has been officially unleashed to the internet and it is with great relief we can report that it is actually pretty damn good. The last film, Quantum of Solace, had a title song that most people were not a big fan of, so the bounce back in quality for Skyfall is especially noticeable. Unlike previous major pop star attempts at Bond themes, Adele manages to find the classic groove of the series roots without making the song all about her. As opposed to Madonna’s Die Another Day or the aforementioned Another Way To Die, which just seemed like advertisements for the artists and not a viable addition to the tapestry that was those particular films. 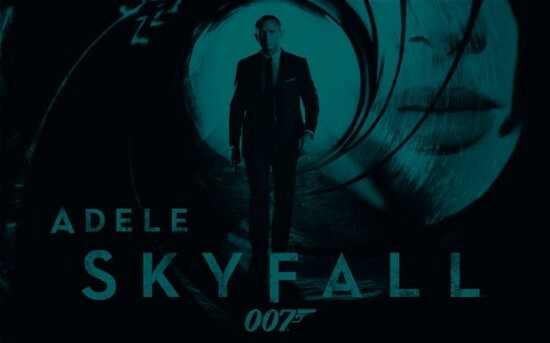 You can checkout Adele’s Skyfall after the jump. Even though some people found the last James Bond movie, Quantum of Solice, less than spectacular, we’re still glad Bond is back and coming to a theater near us in the new film Skyfall. We’ve already brought you info about the new movie and now there’s a new trailer. Not only does the film look stunning and full of exciting action and drama, but Skyfall also boasts one of the best casts ever for a Bond film. Aside from series regulars Craig and Dame Judi Dench as M, the film also features Ralph Fiennes, Albert Finny and Javier Bardem. Check out the new trailer after the break. Look for Skyfall to arrive on November 9. One of the cornerstone elements of James Bond that has been absent in the Daniel Craig films has been the master of the gadgets, Q. Holding him back was likely to help make the films a little more serious, and in honesty it worked. For the third new era Bond fans are expecting the franchise to start taking steps into the larger and more iconic sandbox that is James Bond. Especially considering that the film is being released in the 50th anniversary year. The studio seems keen to deliver what the fans want as they have indeed put Q in the new film, and EW.com has just snagged the first official image of Ben Whishaw in character. A younger, ‘nerd-chic’ version of Q might not sound like the right direction on paper, but looking at Whishaw in this image evokes all the right feelings in this Bond fan. Even if his wardrobe looks a tad like it was put together as a hipsters greatest hits outfit. You can expect more tidbits and news on Skyfall in the coming days, as it is ‘geeks inherit the earth’ week down in San Diego. Stay tuned to The Flickcast for news from the show. You can see the full-sized image after the jump. There is a new James Bond movie coming and, despite the mixed reception of Quantum of Solace, it will be heavily anticipated. So we have waited for the first teaser patiently, waiting for that first real morsel of the film to get excited about. Not only does the film look stunning, but Skyfall also boasts one of the best casts ever for a Bond film. Aside from series regulars Craig and Dame Judi Dench, the film also features Ralph Finnes, Albert Finny and Javier Bardem. One thing is certain, this film wont lack for talent. CinemaCon has been the source of many interesting and exciting movie news items in the past few days. One major player at the theater owner convention was Sony who brought with them lots of info on it’s 2012 slate. Sony’s President of Worldwide Distribution Rory Bruer talked about Sony’s slate for 2013 and beyond and confirmed that James Bond would indeed be back in 2014 with the 24th movie in the franchise and the follow-up to Skyfall. This is expected news, but still great to hear confirmed. Daniel Craig is signed on for a total of 8 Bond films, and after the MGM bankruptcy fiasco it began to look like we might not get to see them all. Now that we have confirmation that the films are back to a quick turnaround of every other year we should be seeing a lot of our favorite Super Spy in the coming decade. Sony also showcased the first footage from Skyfall at the event. Early word is that it looks good, but the teaser footage was a bit to fast paced to get a true feeling of it. We should be seeing the first teaser some time soon ourselves, so keep an eye peeled to The Flickcast for all your Bond news. For a little while there it din’t seem like we would get another James Bond film after Quantum of Solace. With MGM’s money problems, it looked like James Bond was going to retire from his cinematic exploits while things were sorted out — if they were ever sorted out. Fortunately, the tide turned and now Bond is back in a new installment called Skyfall, which is filming right now. As is the custom these days with highly anticipated film releases, the production has released the first of what wil no doubt be many videos highlighting the behind-the-scenes action of making a Bond film. In this particular video blog, the producers and director take us to Shanghi, China for some brief glimpses into the filmmaking process and the sleek cityscapes of that location. Looks good. Can’t wait for this one. Check out the video after the break. 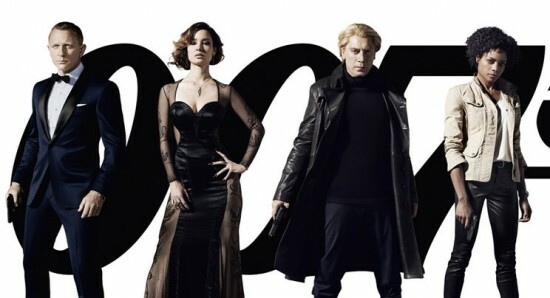 Skyfall, which stars Daniel Craig, Javier Bardem, Ralph Fiennes, Bérénice Marlohe and Judi Dench, hits theaters on November 9.